misterinvestor has no other items for sale. 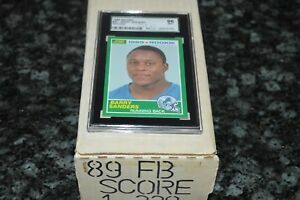 Details about 1989 Score Football Set w/ Graded Barry Sanders RC! Aikman, Carter, Thomas RC's! Barry Sanders 2016 Infinity Retired Numbers Jersey Card 4 CARD LOT 46,10,21,11!! 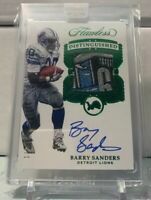 Barry Sanders 1989 Score Rookie FOOTBALL #257 Card Detroit Lions HOF RB NR-MINT!